In other words SAS' access layer auto-magically takes care of translating data types to and from the SAS environment. This is just one example of the power of SAS' data management capabilities that makes SAS programmers love SAS." 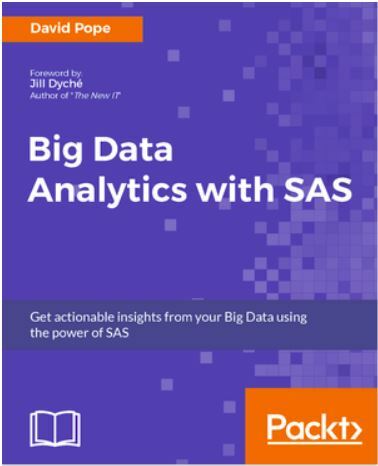 Check out the book for more examples, and add your own favorite reasons you love SAS programming in the comments below. Love to lose is right haha... I would never let one of my analysts use any GUI. Thanks for catching the typo. BTW I find your statement about not allowing your analysts to use a GUI interesting. into the code if/when needed? Honestly, I haven't had any experience with SAS GUIs -- we only do code in SAS -- but in other contexts (ArcGIS, Stata, etc) it can be a replicability nightmare if people use point-and-click to produce some result. I would rather have people take the time to write me some clean code. Thanks for replying back to me. Being a programmer and a SAS programmer I understand where you are coming from when using other GUIs. a productivity tool that saves an experienced programmer/analyst time on "regular" coding so more time can be spent deriving insights and writing more complex analysis. As a matter of fact the newest solutions from SAS like SAS Visual Data Mining and Machine Learning provide by design 2 ways to use the solution: by GUI and by a programming interface. This is meant to allow different levels of analysts the ability be productive a provide a path for learning more beyond what the GUI allows.